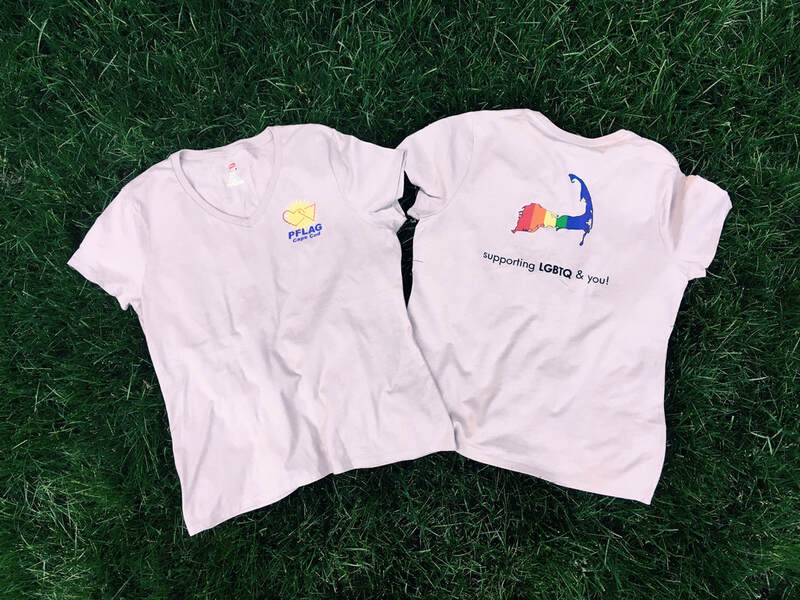 Show your pride and support of PFLAG Cape Cod with a t-shirt! 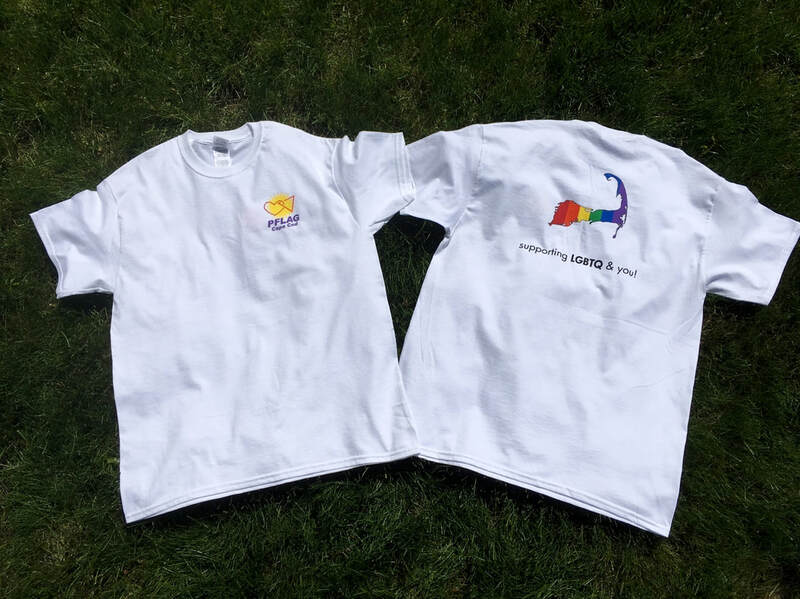 Available in a range of sizes, our 100% cotton t-shirts are silk-screened on Cape Cod, cost $17, and come in white unisex crew neck or sand-colored ladies v-neck and are available at community events attended by PFLAG. If you'd like to order online, please contact joe@pflagcapecod.org (there is an additional cost for shipping).